‘Work is scarce and however bad the terms and conditions are for these women it offers them flexibility’. I wrote this article in 2014 and very little has changed for the poor women of east Manchester, whether elderly or working in the care sector. My mother is Irish, but all the women I interviewed for this article were white and British; but over the following years my mother’s carers were part of the new local workforce, made up of African and South American women who were now starting their working lives in the care sector. Some of the white women were unhappy about this, and quite rightly – they saw the agencies as using these women as cheap labour. I did suggest joining a trade union to collectively improve their pay and conditions but was met with a disbelief that any organisation would stand up for them. This was contrary to the ethos of my family which believed that trade unions and the Labour Party were the way in which working class people would gain a better life. To me and my mother these new women, like her other care assistants, were now part of our family. Women; she shared her secrets with them and they were key to her maintaining her life in her own home. I grew up in east Manchester where, in the 1970s my mother, her friends, my friends’ mothers, all worked in the local factories. The area was full of factories turning out engines and metal products, as well as a colliery, a steelworks, and Robertson’s Jam Works where my Mum worked. The factory was a collective experience, offering various shifts to suit the women’s childcare needs, a cheap canteen and discounted food. Fast forward to 2014 and it’s all gone. 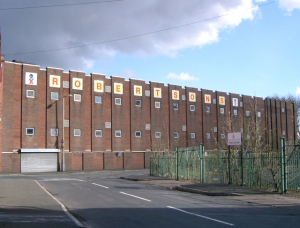 The factories have been replaced by supermarkets, while the colliery and steelworks are now buried by Manchester City Football Club’s ground. And where are the women working? Some work in the supermarkets, but many are part of a growing (up by 15 per cent) adult care sector workforce. Ironically they work for elderly working class women such as my mother and other women of her generation who need care assistants to keep them at home. So how over the last thirty years have the lives of working class women in areas such as east Manchester changed? Has it been for the better or has something been lost? The rapid growth of the adult care sector is because many working class people, like my Mum, now 90, are living much longer due to better nutrition, cessation in smoking, medical advances and the disappearance of heavy industry. Pensioners now make up half of all benefit claimants. Longevity has also been helped by the expansion of care in services such as Social Services and the NHS. But over the last few years the privatisation of these services has led to a deterioration of the lives of those who work in these services, mainly women. J and R have worked as care assistants for over 30 years. Originally they worked for the local council and it was a job they enjoyed. Although low paid, the council provided a whole range of benefits that made up for this, including a subsidised workplace nursery right across the road from the Elderly Care Home where they worked. As well as subsidised childcare there were other advantages to working for the local authority. When the ITC was taken over by a private agency she carried over her pay and pension, but lost all other benefits, including extra payments for weekends and anti-social hours. R was not so lucky. Her care home was closed by the local authority and she was redeployed to the ITC. She was on protected pay for 14 years but when she came off the night time working contract, because she no longer needed to look after her kids, she lost pay and leave. The fact of elderly people living longer has meant an expansion in home care as more people want to stay in their own home and councils encourage this as it is a cheaper option for them. For women such as my mother this is the only option. She can afford it as she is one of the pensioners whose benefits have improved through Pension Credit. She is disabled and needs round the clock support which includes five calls from care assistants during the day. Even in these times of councils cutting back on personal care payments she still only pays around £16 per week for this level of care. My mother still lives in east Manchester and her care assistants all come from that area. Work is scarce and however bad the terms and conditions are for these women it offers them a flexibility which suits their circumstances as women with childcare responsibilites. A is 39. She left school at 16 without any qualifications and had been working since she was 12 years old as a cleaner. She has worked in factories but her experience as a carer for her brother and becoming a mother encouraged her to become a care assistant. She has seen how home care work has changed in recent years. She has seen how the pay and conditions of work have deteriorated. A is paid £6.68 per hour. She does not get paid for her mileage. Her hours for the agency can vary from 20 to 40 hours per week and she also does private work to improve her pay. Her number of agency clients can be up to 9 and she will also look after 4 private ones. She stays in the job because of its flexibility and because she enjoys her relationships with the clients. A works very much in isolation. She depends on her mother for her childcare support while her older son has taken on looking after the youngest child. As the home care system expands increasingly care assistants such as A and B are looking to move into working privately for elderly clients. B, like many care assistants. went into care work because of her experience of caring for a relative and the need to be around for her young children. She has had a variety of jobs in her life, including being a model, a makeup artist and running a hotel. She finds society’s attitude to care assistants very poor. She sees it as a valuable job, valued by her clients and families but not by the agencies and society. “It is an important job and you have to know a hell of a lot about medication, write notes and have a legal duty of care for your client”. B thinks that the entire care system is wrong and needs changing. The lives of many working class women in this society have changed rapidly over the last 30 years. For some it has meant opportunities to get a better education than their parents and achieve a professional job and better standard of living. But for some women the gains made are now being destroyed as the public services are going into meltdown. As we lead a more atomised life so the need for carers increases with a growing elderly community. But it is a community that is being serviced by a group of women who are seeing their wages and terms of conditions being reduced. And it is ironic that these workers are caring for women who had better working lives when they worked in the traditional manufacturing sector. Unison has now set up a new organisation for care workers: information which needs to be shared widely. A version of this article appeared in Contributoria in March 2014. It was reposted by the author on her blog ‘LipstickSocialist‘ on 13 April 2017.